With over six decades of experience and over couple of thousand employees around the world, Aristocrat Gaming has built a reputation enough to become one of the more notable suppliers and developers of ground-breaking and unique video slot games. Aristocrat’s services are used internationally throughout the entire gaming industry while their games are daily played across two hundred jurisdictions globally across a wide gaming market. Aristocrat is an Australian based software company that has been developing slot machines since the 50s. 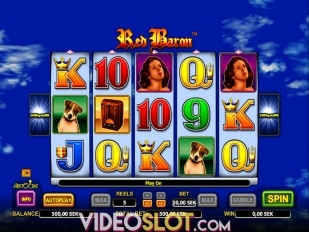 They have profited mostly when video slots became popular in the 80s and 90s, and today their slots are available worldwide, from North America to Asia, and anything in-between. Premium supplier of both online and land based slots. Most games compatible with Apple iOS - iPhone & iPad. An authority in casino game making for over 60 years. Aristocrat’s online slots are known for their higher payouts than usual, with some games having payout ratio of over 96%. This is way more than land-based slot games where the payouts usually don’t get more than 90%. A six and more percent increase can mean a lot when your money is at stake. Besides that, you can play Aristocrat’s online slots on any of the latest mobile devices, from Android to iOS and Windows. Where’s the Gold – This is a 5-reel, 25-paylines video slot game, where the free spins rounds come with additional wild symbols and exciting bonus features. By triggering three or more scatters with the dynamite symbol your chances of winning become even greater. 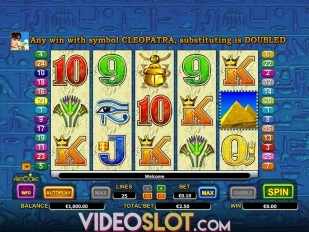 Queen of the Nile – Aristocrat claims to be the first to release a slot game with the ancient Egypt theme. This is a 5-reel, 20-payline video slot games the Queen of the Nile wild symbol can double your winnings. During the free spins rounds you can even triple them. 50 Lions – A 50-payline slot with stacked wilds, free spins and a theme revolving around the African jungles. This is one of the most popular online video slots by Aristocrat where you can trigger up to 10 free spins with the chance for additional 5. 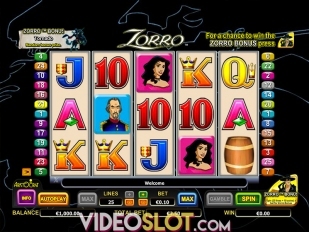 Zorro – This video slot manages to stand from the bunch of Aristocrat’s online slots by giving a 5,000 coins jackpot. Multiply this by the maximum bet amount of $125 per spin and you get a maximum jackpot amount of $625,000. Werewolf Wild – The Werewolf Wild slot takes you back to Victorian London, where you can unlock the Werewolf touch bonus with contagious wilds, the mystery coin feature, and the claw swipe feature. Try this slot if you are curious about what these represent. We’ve come to the most important part: where can you play Aristocrat’s slots online? Read further to find out about the online slots offering them as well as their welcome bonuses. 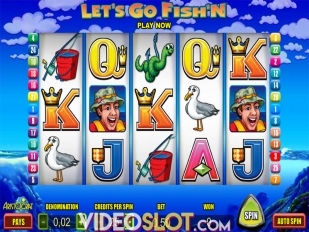 Video Slots casino is powered by many software providers, but by Aristocrat too. If you register at Video Slots today you can get €10 free on your first deposit, plus 100% up to €200 as welcome bonus, which you will have to wager only 20x in 7 days. With Bet365 Games you have the chance for great bonuses each month with Bet365’s €3,000 Bonus Bundle promotion. Under this promotion you can claim a series of bonuses ranging up to €200 each time you make a deposit up to €3,000 each month. Inter Casino has been operating since 1996, just two years after the launching of the first ever online casino. Inter Casino at the moment gives out up to $600 welcome bonus for playing Aristocrat slots. Just sign up, deposit and enjoy.